Bali has hundreds of beaches all around its coast line. It is nearly impossible to explore all of them. During my 4 day stay I visited about 6 different beaches. This post gives a round -up of these beaches- what to expect, what’s great about them and so on. If you have limited time and need to decide which beach is best suited for your needs and expectations, this might help. Please note that this post compares only 7 of the hundreds of beaches in Bali, so it by no means comprehensive. But these are some of the most popular/frequently visited ones in Bali, so I am sure it will be of some help. Most beaches are open to public all the time- some are guarded and may have timings (can’t go late night to very early morning). Parking/Entry fee is collected in most beaches- approx. INR 10 to 30 per person. This was one of the first beaches we visited. This beach is named after Hindu epic Mahabharatha, which tells us the fight between Pandawas and the Kauravas. Located next to giant limestone cliff, lots of statues of Mahabharatha's key characters is carved here- you can see statues of Nakula, Sahadeva, Kunti, Arjuna etc. Pandawa beach is very unique in that sense as you are very unlikely to see an idol/statue of Pandawas in any other temples. Beach seemed pretty standard, with a series of shacks next to it. Great place to simply lie down and sip drinks. We went there too early in the morning, before the shacks opened. The beach was isolated. Lots of construction work is also happening around Pandawa beach. The hill is being carved out, to make space for buildings and other facilities next to the beach. I went there along with Raja Selvam. 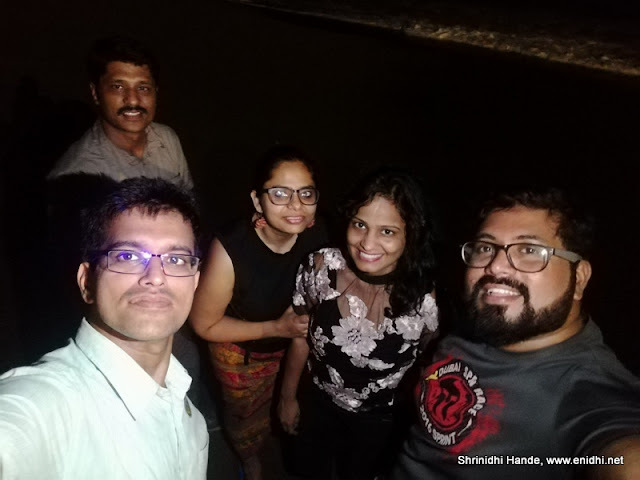 Reaching Pandawa beach itself was an experience. Nice roads were carved in between huge cliffs. Apparently this beach is very recent one- opened to public only in 2012 as it was located behind a cliff without easy access. I stopped at this beach while returning from Water Palace. I would say this beach is not really worth going all the way- it represents a small stretch of area- high on privacy otherwise nothing much. If you are passing by or staying nearby then it is worth a quick visit, else can be skipped. This beach is famous among surfers. I had good time clicking several close-up photos of surfers in action. Check this post for those surfing action still photographs. Clear waters on the rocky sea bed is a treat to the eye. Highly recommended. Green bowl beach scores very high on privacy, but one should climb down some 100-150 steps from parking lot to reach this beach. Climbing up will drain all your energy. Few enterprising locals sell stuff like beer and coconut here, for a price tag 4 times more than city price. But the visit was totally worth it. The length of this beach is short. Right next to the heavily crowded Kuta area, good for morning walk if your hotel is in Kuta otherwise nothing unique. Almost everyone recommended this, but I missed going there when I went to Water Palace. Checked photos, didn't find it too exciting worth going all the way one more time. Use your discretion. Beaches closer to mountain area (north Bali) are likely to have blackish sand (because of Volcanic ash) but beaches in South had clear and regular sand. Sadly all my beach visits were in day time. I couldn't be there during a sunrise/sunset, during which one can usually get the best setup for some photography. Disclaimer: All information as experienced during our visit in October 2016. Individual experience may vary depending on expectations and circumstances. You can watch planes land and take off from here. Very close to Denpasat Airport. 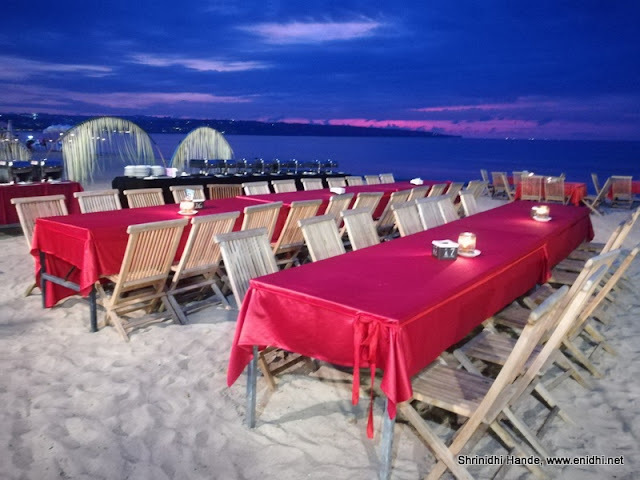 Dinner by the beach is very popular here, dozens of restaurants exist right next to the beach, with elaborate dinner setting by the beach. Enjoy sunset, watch some local performance (dance and music) and enjoy your dinner. A detailed experience coming up in separate post. Explored only small portion of Sanur beach stretch, to catch boat to Nusa Penida. Boats from various islands like Nusa Penida, Lambongan, Gili etc begin from here. Sanur has lots other spots by the beach including many private beaches as well (next to resorts). Our visit was limited to boat boarding area. We went for a walk here in the night. Waves were huge, no shops or signs of adventure activities, but we've not checked it in day time. Did snorkeling here, had great views of the ocean floor. Basic facilities available, worth a stop if you're visiting Nusa Penida. Rest room usage costs 5000 INR, Tender coconut 25000 IDR, minimum food and refreshments available. Really a beautiful place to visit . You have written very well and pictures are beautiful & grand ! All the beaches are Same yet So different from each Other : plus you have covered 6 beaches on the Same day that too is commendabke.This post will certainly help people like me who are in their Stage of Planning for Indonesia ! Amazing place. Beautiful pics and post. Glad to know about these lovely beaches.